Description: The plant is so named because of the way the leaves all individually flutter in even slight breezes, due to their long, flexible leaf stalks. 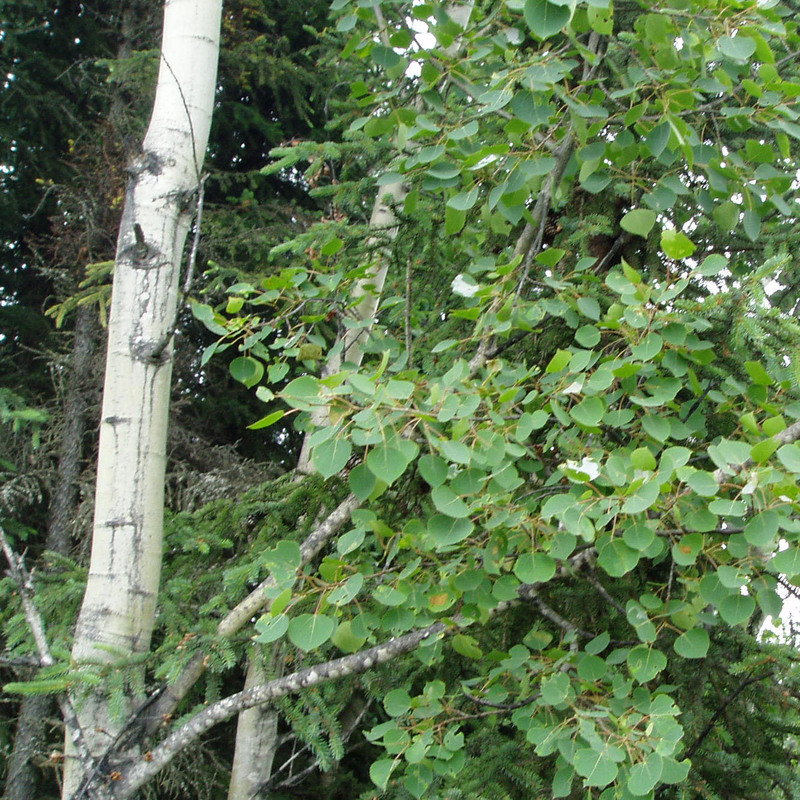 Aspens have a distinctive white bark, with occasional darker furrows. The bark on the young branches is grey with small light-colored spots. The leaves are broadly-rounded at the base and come to spade-shaped points. The leaf margins are finely scalloped with tiny waves in the edge, not pointy enough to be teeth and they have a distinctive lighter-colored vein structure.